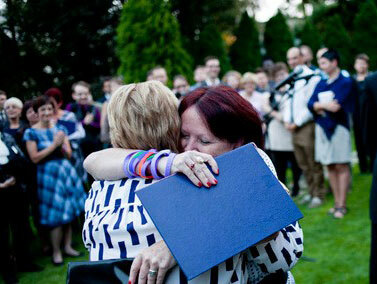 Campaign Against Homophobia has issued a new report on social situation of LGBT persons in Poland. This unique publication shows results of the biggest in Poland quantative research conducted on the group of 14,000 gays, lesbians, bisexuals and trangender persons. The questions pertain to spheres of life such as education, work and family life in the context of discrimination or the influence of non-heterosexual orientation on social functioning. Repost from DipNote Blog by Frankie Sturm, Deputy Cultural Attache at U.S. Embassy Warsaw in Poland. Sitting down to dinner to wrap up two jam-packed days of outreach by Judy and Dennis Shepard in Poland to parents of LGBT individuals, non-governmental organizations, parliamentarians, TV reporters, and others, I was struck by how universally their story resonates even thousands of miles from the United States. As co-founders of the Matthew Shepard Foundation, Judy and Dennis have worked tirelessly to expand LGBT rights and protections through the legal system, while changing hearts and minds by telling the tragic story of their son’s murder due to hate and intolerance. 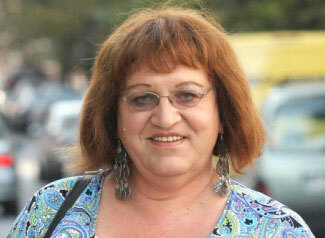 On October 10th, we have learned that Anna Grodzka, president of TGEU member organization Trans-Fuzja, has become the first openly transgender woman to be elected into Polish parliament. Grodzka, who has been working for transgender and intersex issues for more than 4 years now, was a candidate of the Palikot Movement, a new political party which has come forward with progressive ideas especially on LGBTQI matters during elections.